Three to six months. That’s how long it’s going to take to build my “skoolie”, the tiny house we’re making out of a retired Arizona school bus. Ten months later, there’s still work to be done. But as the weather turned and the skies grew darker and the snow began to linger, the rush to leave Philadelphia behind was implausible. The Eagles were in the playoffs. And they kept winning. No matter who went down, it was next man up, it was Rocky Balboa rolled into a football team. Underdogs, week after week, they won anyway. Refuse to lose. It’s not about how hard you hit, but how hard you can get hit and keep moving forward. 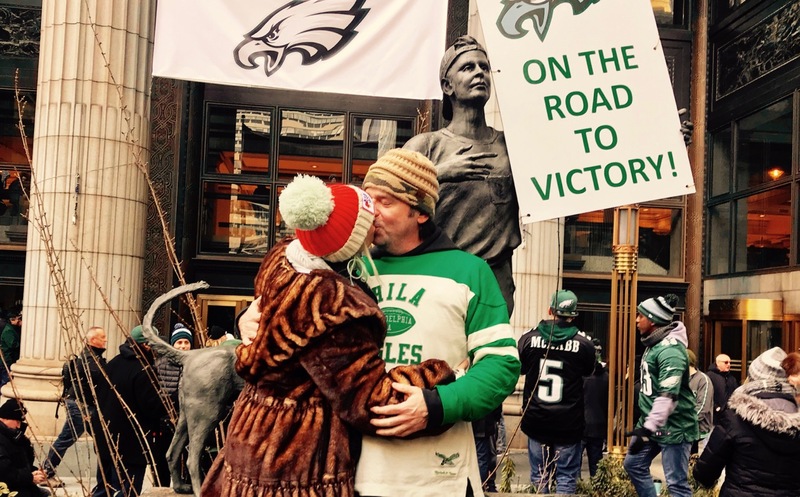 If you don’t come from Philadelphia, you likely thought “Silver Linings Playbook” and it’s depiction of Eagles fans was over the top. 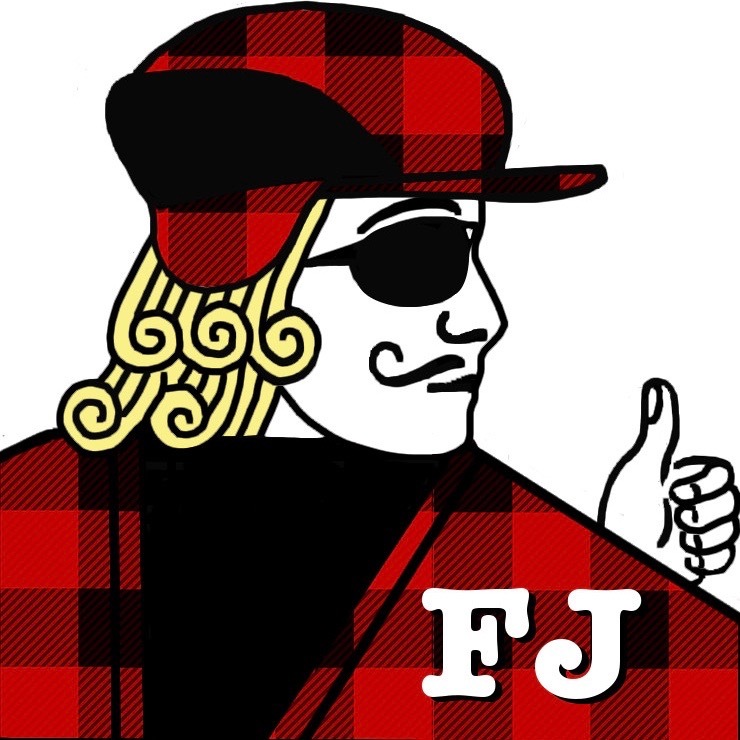 If you’re from here, you know it was pretty accurate. The Eagles are Sundays. The Eagles are family. The Eagles are full churches that end services before kickoff. The Eagles are fall and (hopefully late) winter. Eagles fans get hit, year after year, but they keep moving forward. It’s been 57 years since they were the last team standing but they get up off the canvas every time. But last night, the Eagles won the Super Bowl (THE EAGLES WON THE SUPER BOWL) and my take-it-on-the-chin hometown became the center of the universe. But the pull to party in the streets with a million strangers took a backseat to a small circle of family. 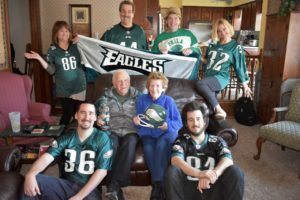 Watching Eagles games with my parents are among my earliest memories. Hearing my dad talk about attending the championship game in 1948 (1948!) among my earliest stories. He scalped a ticket for 50 cents because there was a blizzard and no one else could get there. Others got in free because they brought a shovel. 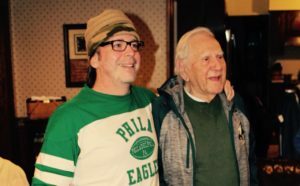 He was sitting in the end zone when Steve van Buren scored the game’s only touchdown, lifting the Eagles to a 7-0 victory, and a championship. And so it was last night, sitting there with family and watching the Eagles win their first Super Bowl, my dad now 89, my mom 85, hugging them in the moment and knowing this future memory will be with me always, wherever we journey in our tiny house on wheels. Knowing there’s always a silver lining and that sometimes the greatest journeys never even leave the driveway.